OK, Batman. Riddle me this: Who attacked his opponents with a vengeance, then switched sides, lost his head, but came out a winner? Was it Nick Saban, who led LSU football to a national championship, but since has coached rival Alabama to numerous titles? Or maybe Babe Ruth, pitcher for the Boston Red Sox who achieved baseball immortality after being sold to the Beantown-despised New York Yankees? Ronald Reagan, staunch Democrat turned Republican? Ditto Donald Trump? These all have elements of dramatic change followed by significant victory. But none lost his (literal) head. Easter is a good time to remember this guy. After the first Easter, he was persecuting Christians, throwing them into prison. But a gripping encounter reversed his course, prompting him to dedicate his life to promoting the faith he once opposed. His impact has been global and lasting – two millennia and counting. I’m referring to the first-Century figure Saul of Tarsus, later called Paul. A new movie dramatically recreates essentials from his adult life and presents a fictionalized glimpse into what his final years might have been like. 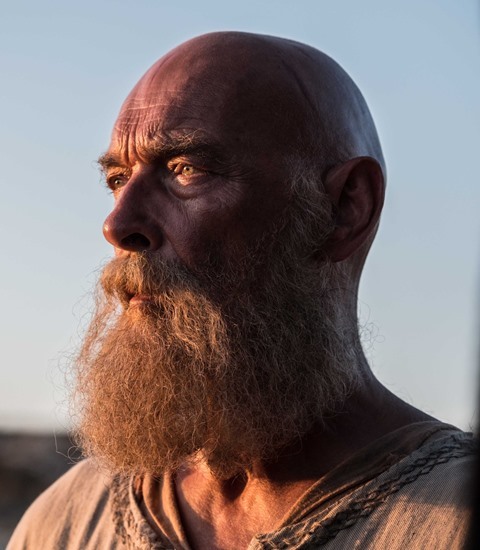 Paul, Apostle of Christ opens March 23. 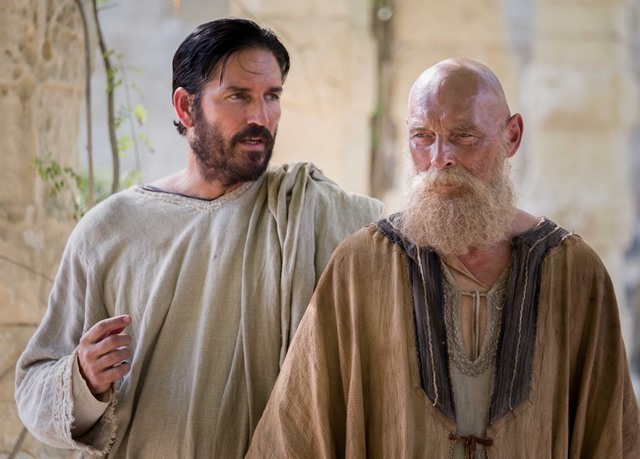 The Sony Pictures release stars Jim Caviezel (The Passion of the Christ, TV’s Person of Interest), James Faulkner (Downton Abbey, Game of Thrones), Olivier Martinez (S.W.A.T. ), Joanne Whalley (A.D. The Bible Continues) and John Lynch (The Secret Garden). 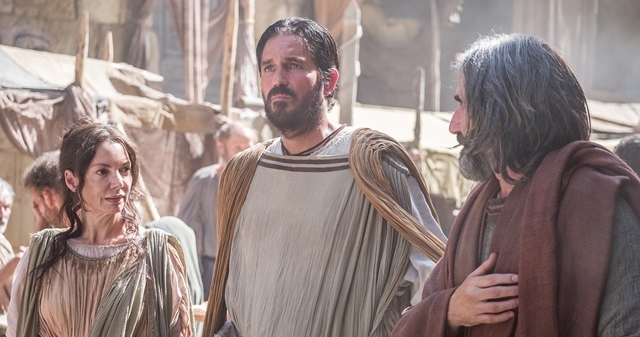 This film is enlightening Easter-season viewing for believers, doubters, and the curious. As a former skeptic, I’m fascinated by stories of complete reversal. It’s hard not to be inspired by Paul’s journey from persecutor to promoter, from vengeance to love. In order to appreciate the film’s portrayal, it helped me to review some biographical basics, found in the biblical book of Acts and Paul’s New Testament letters. That’s a lot of reading, so here’s a “Cliffs Notes” version. Born to Jewish parents around AD 6 in what is now Turkey, as an adult Saul joined the Pharisees sect and was quite proud of his careful observance of Jewish laws. When Jesus’ disciples claimed he had risen from the dead, Saul wanted to halt the spreading movement. En route to Damascus, Syria, on this mission to arrest Christians, he heard a voice saying, “Saul! Saul! Why are you persecuting me? … I am Jesus, the one you are persecuting!” He would never be the same: growing in faith, traveling widely, risking his life to assure people that divine forgiveness could be theirs – not as an earned reward but as a free gift bestowed by grace, to be received by faith. 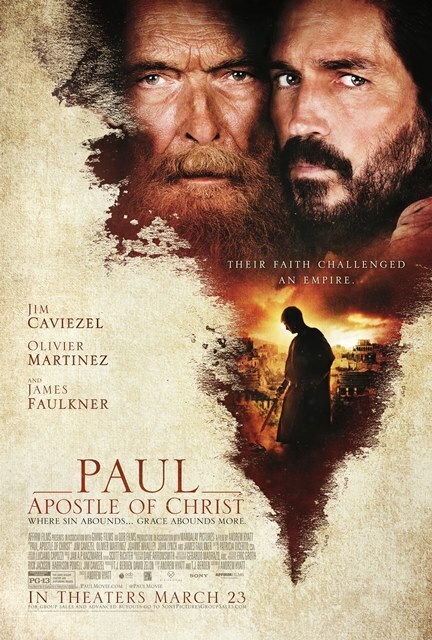 As word spread of Paul’s change, his former targets were surprised: “The one who used to persecute us is now preaching the very faith he tried to destroy!” You may be surprised, too, as you contemplate in this film the challenges he (Faulkner) and his friend Luke (Caviezel) faced together as they sought to advance their community in a hostile world.